Collaborate More Effectively with Your Employees, Customers, and Partners. Communifire simplifies workflows while keeping everyone in-the-know about projects, departmental goals, policies, and more. Are your teams relying on outdated communication streams to collaborate? Have you noticed an uptick in missed deadlines, inconsistent updates, or duplicate tasks? Make an executive decision to eliminate communication gaps and expedite the achievement of goals by implementing a social collaboration platform. Ongoing collaboration is the conduit by which your team stays productive and your company grows. By organizing the flow of communication throughout your organization, Communifire simplifies workflows while keeping everyone in-the-know about projects, departmental goals, policies, and more. Don't compromise your company's success for another minute; maintain efficiency and promote productivity throughout your company with Communifire, which is designed to meet changing communication demands. Explore the many ways Communifire's cutting edge, cloud-based platform can transform and improve collaboration within your company. Impress clients, reduce project turnaround delays, and encourage organizational harmony from anywhere, at any time. Quickly and clearly communicate via live messaging, text, video, or images within Communifire's social collaboration platform. 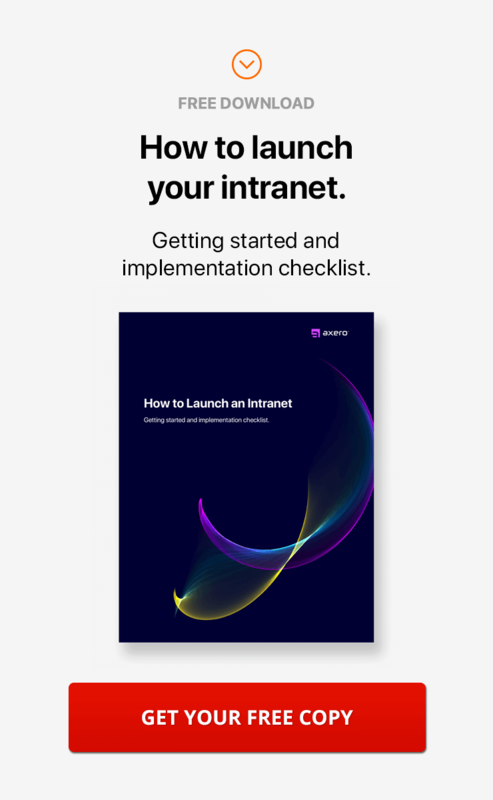 Because it allows a variety of media to be shared, commented on, and organized, your enterprise intranet is uniquely capable of accommodating different learning and work styles. Manage tasks using activity streams and notifications to keep everyone updated on the status of project, regardless of project type. Particularly useful for marketing, IT, and sales departments, social media-like features streamline communication and eliminate repetitive tasks. Create digital desks for projects, internal initiatives, campaigns, and more using Communifire's virtual work space feature. Control user permissions to make a work space publicly available or accessible by invitation only. Encourage friendly competition among team members while enhancing collaboration with gamification. Give team members an incentive to complete tasks and achieve goals by awarding points and badges for consistent progress. Develop one point of discussion for different teams, projects, or departments with secure, moderated discussion forums. Reduce time spent answering the same question more than once by using searchable tags, which allow users to quickly search for a topic and find its related thread. Equip team members with the power to collaborate without taking additional steps. Within Communifire's social collaboration platform, conceptualizing initiatives, providing feedback, and taking ideas to the next level is a streamlined process that fosters innovation. Regardless of their physical location, team members must build rapport with one another to work efficiently together and accomplish goals. Because a social collaboration profile provides an opportunity to put a face to a name and learn more about peers, partnerships are strengthened to the benefit of your company. Bridge the communication gap between departments while increasing cohesion throughout your organization by establishing groups. Use groups rally staff around a certain topic, post company updates or training sessions, host webinars, and more.